All Lazzara yachts for sale worldwide are listed below, scroll down to view them. Lazzara Yachts is a family-owned company with over 50 years of boat building experience. Our commitment is to build yachts of exceptional quality that set the industry standard for innovation, while creating for our family of owners, the highest level of customer service and support. 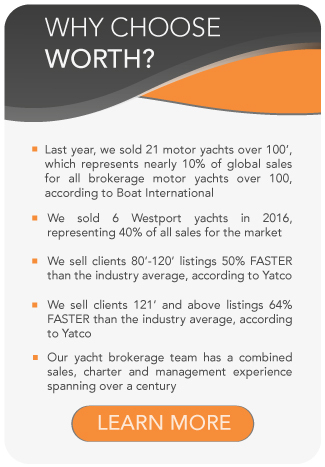 Worth Avenue Yachts offers a range of Lazzara Yachts for sale and our brokers are some of the most enlightened regarding their product, so you will definitely get the best assistance to purchase one of our Lazzara yachts.